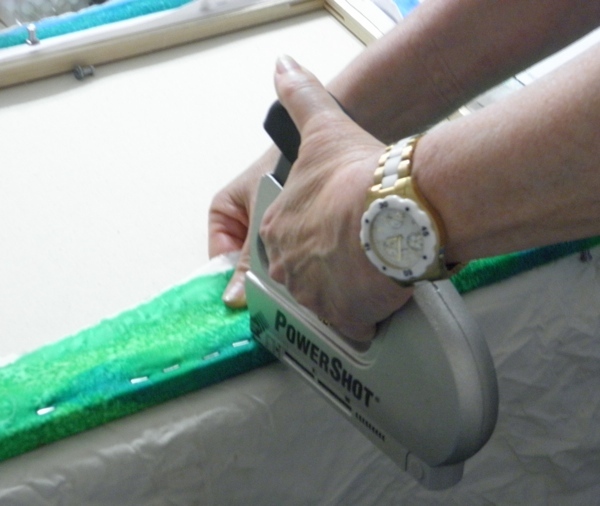 After all the centers are pinned down, pull the rest of the silk and flannel tight over the frame and secure with the push pins. 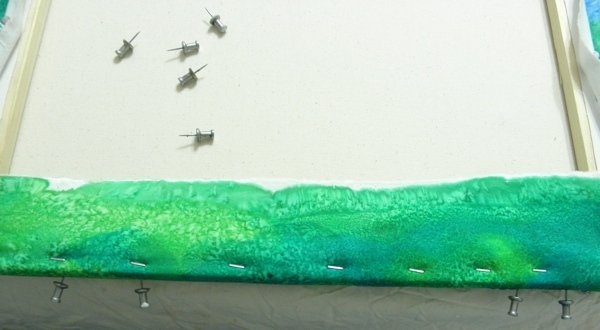 Turn the pinned silk over and make sure the silk is smooth and there are no wrinkles. 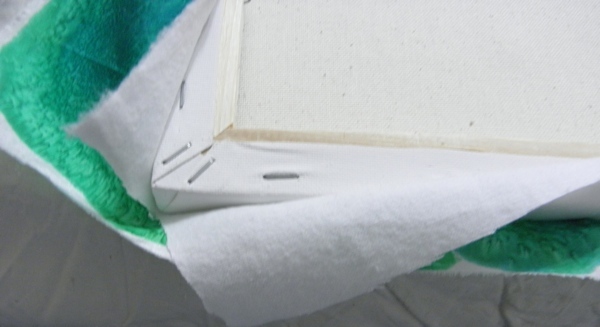 Turn the canvas back over and while pulling the silk and flannel as tight as you can, put staples all along the frame (except the 4 corners ). Your first staples can be about 3 to 4 inches apart. When you finish the 4 sides check the front again for wrinkles. 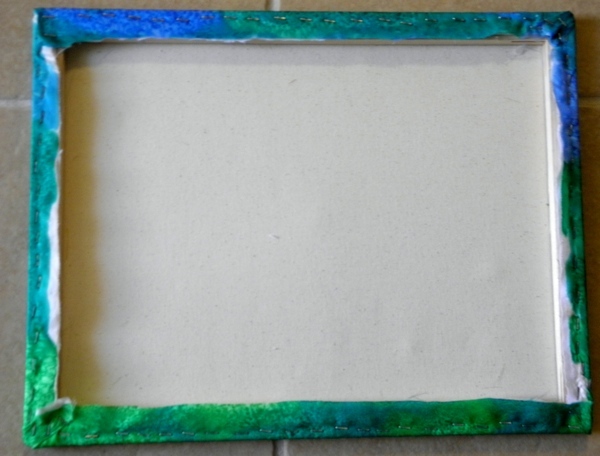 Turn the canvas back down on the work surface and put more staples in. There should be about 1/2 inch space between all the staples when you are finished but do not staple near the four corners at this time. You can now remove all the push pins. The next step is trimming. Trim the flannel close to the line of staples. Also trim the flannel around the corners. You do not want extra bulk there. Now pull tightly on the silk around the corners. Fold the silk so the corners are covered neatly and tightly. Staple the silk corners. You may need 2 or 3 staples to hold it securely. 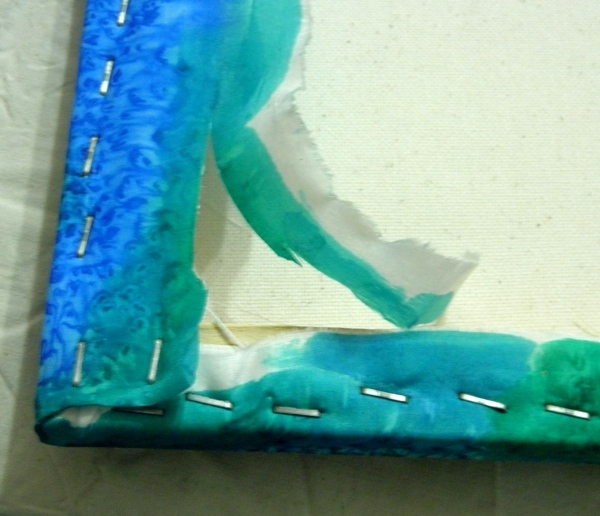 Now that all the silk is securely stapled you can trim the silk near the edge of the canvas frame. 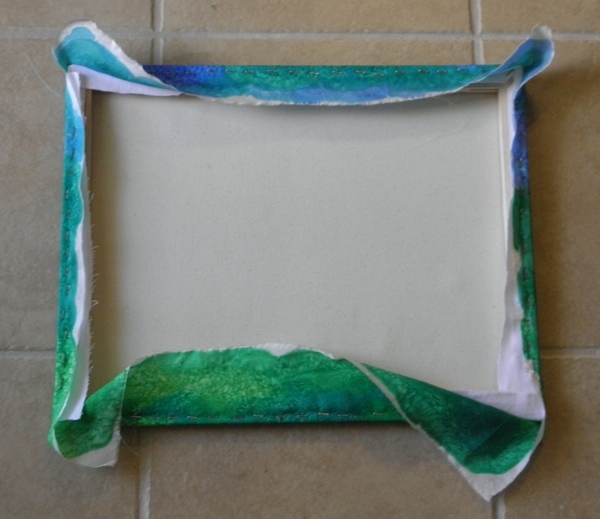 The silk edges may be glued to the frame using a fabric glue. This will stop any fraying of the cut silk. 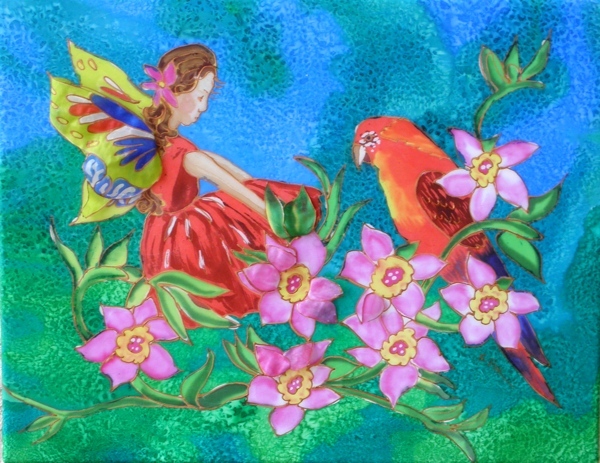 This silk painting is now mounted on the canvas without wrinkles or uneven pulling.